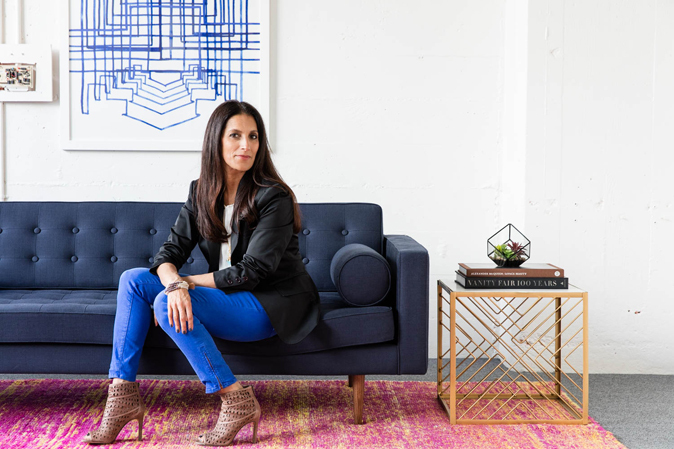 In July 2015, Joyus founder Sukhinder Singh Cassidy launched theBoardlist, a curated platform that includes the names of women from various industries willing to join company boards. It was the culmination of conversations that she had with other women in entrepreneurship about encouraging diversity in the tech community. For Singh Cassidy, theBoardList was about creating a tangible solution to the gender diversity problem in tech. “Bringing diverse thought into the boardroom not only drives private company business performance, it has one other potentially large impact: it can also help accelerate opportunities for more gender diversity within the organization itself,” said Singh Cassidy. Just under two years and 1,800 board-ready women on the platform later, theBoardList announced its official launch into Canada today. Over the next few months, theBoardList hopes to engage the Canadian community and build the “heartbeat” of theBoardList. Singh Cassidy, a Canadian native currently living in Silicon Valley, is a co-founder of financial services platform Yodlee, and acted as Google’s head of international operations in Asia Pacific (APAC) and Latin America (LATAM). For her part, she has been on the board of companies like TripAdvisor and J.Crew, and an advisor to Twitter. Speaking with BetaKit, Singh Cassidy says that the mission of theBoardList is twofold: encourage more companies to recruit women to their boards, and encourage more women entrepreneurs to think about joining boards. While a lack of senior talent is one of the commonly cited challenges in Canada’s scaling tech companies, Singh Cassidy says that because theBoardlist is open to women in leadership roles across a company’s lifecycle — from early stage to public — it opens up the platform to a wider range of talent in Canada. When it comes to actually creating a “diverse” company, what qualifies as a solution can get complicated — while many public conversations are focused on the very obvious gap in women’s representation in tech companies generally, taking into account intersecting identities like race presents an even bigger gap. Black women receive so little venture capital it might as well be zero; on average, two percent of technology workers at seven Silicon Valley companies that have released staffing numbers are black; three percent are Hispanic. Singh Cassidy acknowledges that this is a problem even on theBoardlist, as the majority of the women on the platform are white and Asian. “Today we have stopped at women and we haven’t really gone further, and that is an area of opportunity for us,” said Singh Cassidy, who says that she has been challenged on this issue more than once. Part of the reason she hasn’t yet taken action, she says, is that hasn’t come up with a definitive point of view on how to address the issue; once you take into account intersectionalities, it is only white men that are excluded. The platform accepts potential candidates that meet at least one of six criteria — like past board experience, or CEO experience for a company with at least $5 million in revenue — but they must all be nominated by at least one endorser member. Since its inception, theBoardlist believes it has influenced at least 61 board positions. Singh Cassidy said that currently, men make up about half of the endorsing community.